This week’s pick is Dunkers by Colin Lane. I stumbled across this game on Facebook this afternoon, and was immediately sucked into the charming 8 bit graphics, amusing theme music and crazy addictive gameplay. It’s nice to come across a game that is simple, amusing and easy to learn. Sometimes you just want to play a game for a few minutes when you have some down time without becoming completely consumed and distracted. 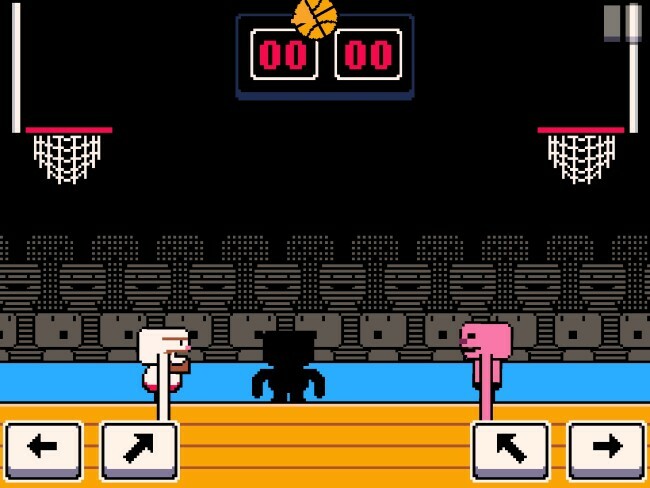 Gameplay involves jumping your long armed stubby character back and forth trying to score three baskets (dunks) before your competitor does. When not moving forward with the basketball, you can move backward in a defensive stance trying to jump in front of the other player while swinging/flailing your arms attempting to steal the ball back. There are three game play modes–arcade, career and 2 player. 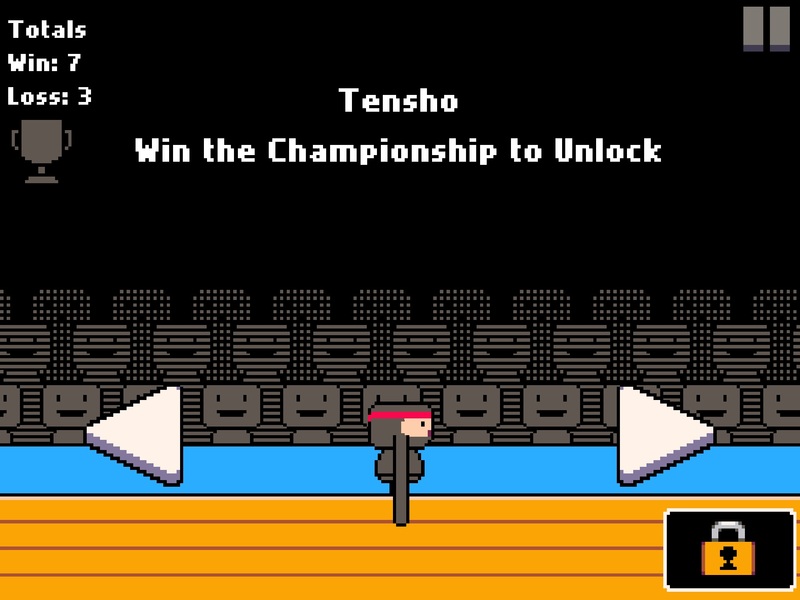 In arcade mode you choose an available unlocked players for yourself, and compete against a never ending series of computer players. High scores are recorded by the number of wins you can accumulate in a row. In career mode you start at the bottom of the standings and play against players from your division working your way up through the standings with each win, and back down with each loss. In two player mode you and another player play on the same device against each other with your own controls at each end of your iPad. 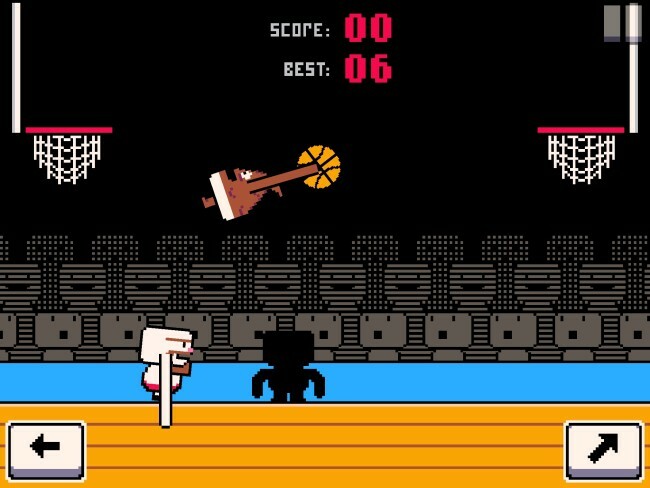 Here’s an App Store link for Dunkers. 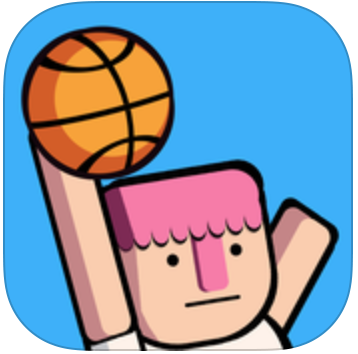 Compatible with iOS 7.0 or later, Dunkers for iOS is an universal app that works with iPhone, iPad, iPod Touch. It is a free app, and with a one-time payment of $1.99 you can permanently remove the annoying long ads–well worth it if you like the game!